Watch out for that R.O.U.S! 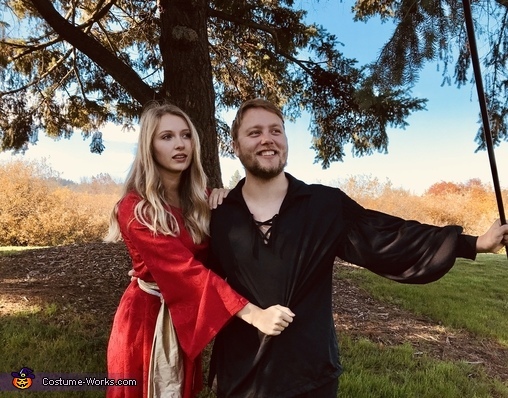 In these photos I am dressed as Princess Buttercup and my Boyfriend is dressed as Westley, the two main characters from the Princess Bride. We worked together with my boyfriend's mom to sew these costumes from scratch! We took a photoshoot in the costumes together because our 5 year anniversary was November 1st, the day after halloween.